Discussion in 'Additional libraries, classes and official updates' started by Erel, Jun 9, 2016. This library requires B4A v6+. Firebase Cloud Messaging service is a layer above Google Cloud Messaging service. It makes it simple to add support for push messages. Although it is not clear in their documentation you don't need any additional server. Sending messages is done with a simple HTTP request. 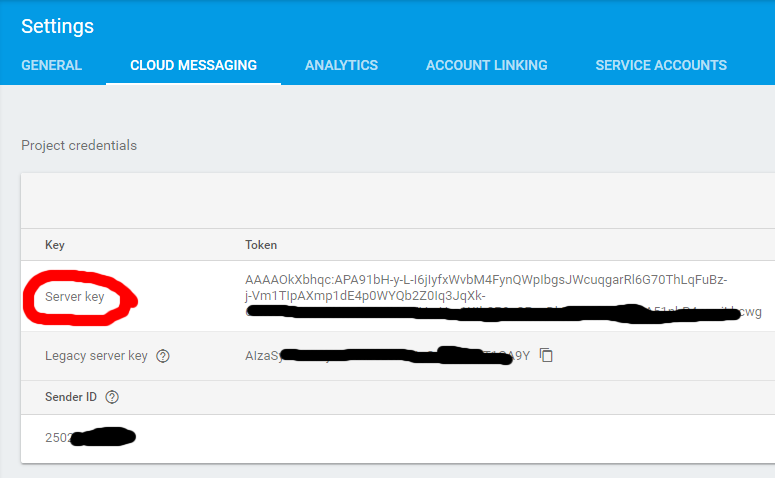 It is also possible to send message from the Firebase console, though it is not very useful and is actually more complicated than using the REST api. Make sure to add the Notifications snippet. Service.StopAutomaticForeground 'remove if not using B4A v8+. fm_MessageArrived will be raised whenever a message is received. In this case we show a notification. You can do whatever you need. Now we can send messages to a "topic" and all the subscribed devices will receive it. A simple non-ui B4J program is attached. Note that messages sent from Firebase Console will not arrive in some cases. Use the B4J code to test it. Kiffi, MarkusR, sirjo66 and 26 others like this. Thanks, are you going to provide B4i library soon, as well? Probably yes. However it will take some time. netkomm and valentino s like this. "This library requires B4A v6+"
MarcoRome and Erel like this. this is a big addition after sending each user with smtp and gathering them in db files and splitting them when it is bigger than 1000 users .. GREAT ! Although it is not clear in their documentation you don't need any additional server. Exactly my question. I'll find the answer. Please note "xmpp". 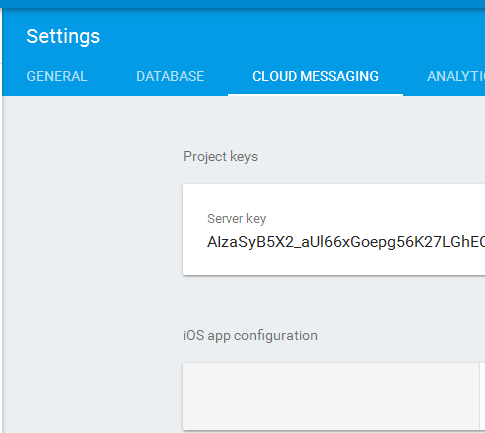 1 Set up the FCM SDK Set up Firebase and FCM on your app according the setup instructions for your platform. 2 Develop your client app Add message handling, topic subscription logic, or other optional features to your client app. During the development, you can easily send test messages from the Notifications console. 3 Develop your app server Decide which server protocol(s) you want to use to interact with FCM, and add logic to authenticate, build send requests, handle response, and so on. Note that if you want to use upstream messaging from your client applications, you must use XMPP. A full FCM implementation requires both a client implementation and a server implementation. For more information about implementing the client side, see the client guide for your platform: iOS, Android, or Chrome. OMG! I cant believe how easy to send push . It took me 2 minutes.. I hope yuou can implement all firebase soluitoons to ios too . Great Work Erel !! fredo, valentino s and Daniel-White like this. I've just noticed that messages with characters such as. , ö, ä, ü... as the value zero return. Is it correct that the MessageService not using special characters and punctuation marks is done? Or is it the SendMessage - processing? If it will not work then you can always get the string bytes, encode them as base64 string with StringUtils and send the encoded string. hibrid0 and pesquera like this. how and where exactly do I the code ("application/json; charset = UTF-8") then install? Can you help me with there briefly? Sorry I found it . Who wants to send messages with special characters, needs to add only the encoding of UTF8. David Meier and DonManfred like this. it is reinitialized previous subscribe will be lost ? I remember GCM service was limit with a few message per day. Does this service have such limitation too? Does this service have such limitation too? As far as i know no. Or, let me say, i did not found any info about restrictions. Only the info that it is totally free (and forever). raad and lomosami like this. It's amazing how much B4J + Firebase + B4A can be powerful. lurahxp, Erel and AndOrNot like this.